Before I get into this review, I feel it’s only fair I give you a glimpse into my brief history with French New Wave cinema. As with David, whose review of another Truffaut film, Shoot the Pianist, posted yesterday, I’m not a huge fan, however, I’ve seen fewer films from within the period than he has, so there was a greater potential for me to like this film. To date, I’ve only really seen two New Wave classics, Godard’s Breathless (written by Truffaut) and Resnais’ Last Year at Marienbad. I hated them both, and even went back to re-watch Breathless (also known as A Bout de Souffle) and in fact hated it more the second time around. My problems with these films are many and varied, but essentially I find the characters to be so dislikeable that I genuinely don’t want to spend any time with them, and they all suffer from an abundance of style over substance, more so than any other films I could mention. Marienbad is particularly frustrating, given the complete absence of anything resembling a cohesive plot. I’ve heard arguments praising its open-ended narrative, allowing the viewer to read all sorts of insights into the film, but I see it as laziness on the part of the writer, or potentially an inability to write two adjacent scenes at all. Basically, what I’m trying to say is that Jules et Jim didn’t have much of a chance to begin with, even though I went in with as open a mind as I could manage. It tells the story of two friends, one Austrian (Jules, played by Oskar Werner) and the other French (Jim, Henri Serre), who spend as much time with one another as possible during the period just before the First World War. The two men are typical New Wave protagonists, spending their days philosophising and discussing literature and ethics, reading their semi-autobiographical screenplays after some playful boxing practice, when into their lives saunters Catherine (Jeanne Moreau). 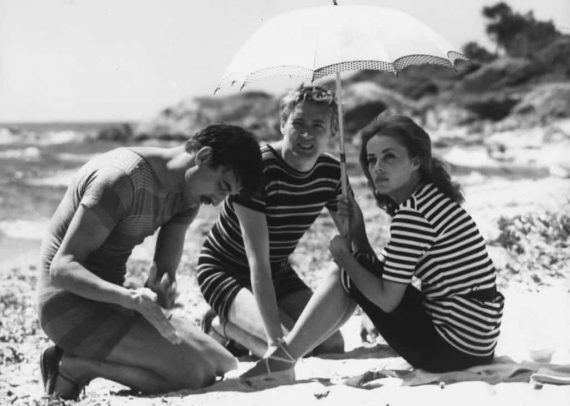 The two instantly fall for this girl, and she opts for Jules, the shyer and more introverted of the men, but the two remain the best of friends, even when Catherine and Jules get married and Jules and Jim are called upon to fight for opposing sides of the war. I’ll avoid any further spoilers, other than to say the relationship between Jules and Catherine isn’t as idyllic as it initially appears to Jim when he visits after the war, and that the rest of the film shows how their relationship plays out in the following years, but mainly it proved just what a thoroughly despicable creature Catherine is, and what fools these men are to want to spend any time around her. I mentioned that the characters in French New Wave films are rarely people I gravitate towards, and that goes doubly for this movie, and in particular the female lead. Everything she did increased my hatred for her, right up until the last moment she appeared on the screen. I’d like to think you’re supposed to detest this woman, but I’ve read other, far more praising reviews in which the character is fawned over and marvelled at. I’ll grant that the acting is decent from all three leads, even Serre, for whom this was his first credited role, but character-wise there was just nothing to like. I don’t necessarily mean that I dislike the fact that her character was essentially evil, it’s more the lack of any real motive or logic behind her actions that grated so much. Also, the effect she has on the two men is frankly unjustified. Their infatuation provides some level of explanation to the extents Catherine goes to toy with the men, but the only reason they seem to have for sticking with her is an apparent resemblance she has to a statue they once saw. This is not a stable basis for any kind of relationship. There were some elements of the plot that I feel could have been further expanded in favour of the love triangle, particularly the wartime chapter, which is cut brutally short, especially given the richness of story that could have been developed. You’ve got two best friends, each fighting in the trenches on opposing sides, each gladly fighting for their country, but terrified of killing the other. You could do so much with that premise, but it’s skipped over in what seemed like just a couple of minutes, and I felt cheated, being given a pontificating lust story when a gripping war saga was dangled in front of me on a stick. Some areas were well conceived, such as the means of communicating by letter, but having to wait three days for the delivery, and receiving a new message in the interim, to which the first person’s response is contrary to their initial letter, and thus a second letter is sent, but the recipient gets the previous letter first, so thinks the opposite and responds in kind. I approved of this gambit, but alas there were too few of such notions to make this an overall worthwhile viewing. It’s films like this that make me reconsider my self-imposed status as a movie critic. When so many others hail plaudits upon a film that I frankly regret seeing even once, it makes me think I’m missing something. Pauline Kael, a very well respected critic, dubbed this “the greatest motion picture of recent years” back in the 1960s, but from the rest of her essay upon it I cannot find a single positive point I agree with. It is very possible that this mountainous pile of praise is a reason for my disliking of the film – I spent too much time looking for the reasoning behind it all that I missed the greatness myself. I suppose it isn’t technically a bad film, it just lacks anything that I feel would rise it up to greatness. It is my opinion, therefore, that this review be almost entirely ignored, as clearly my views on this movie are incorrect. I have reviewed the film as I saw it, but I am quite clearly not up for the job of informing others as to whether they should watch it or not. If you like other French New Wave films, then chances are you’ll approve of this one too. If you don’t, feel free to join me in the “I just didn’t get it” corner. 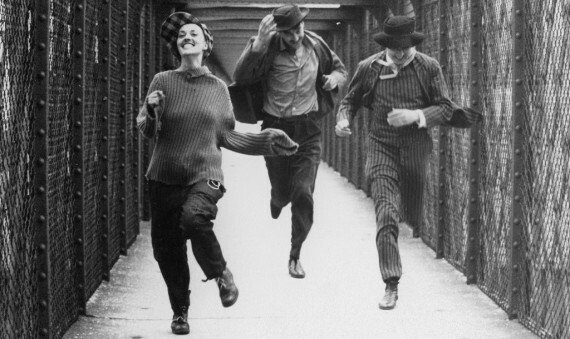 Jules et Jim was released on Blu-Ray & DVD in the UK on 28th July, released by Artificial Eye. Extra features include a short presentation by Serge Toubiana, detailing some history behind the film and the novel it is based on, the casting of the three leads and the initial reaction of the film upon its release, along with still images from the film. There is also a commentary with Jeanne Moreau and a trailer for the film. I couldn’t agree more. I really didn’t get on with the film either, despite there being moments of greatness in there. The characters and the central love triangle didn’t work for me at all and I found the whole thing incredibly tedious.